It was announced about a year ago, but it’s finally close to coming to fruition: Old School Runescape is out now on Google Play in an open beta. This is a revival of a 2007-era instance of Runescape, and it looks the part: it’s got the old school graphics, and plays like a classic MMORPG. In fact, it’s probably the truest MMORPG on mobile, just by the nature of being an actual PC MMORPG where the only change was to adapt the game for mobile interfaces. 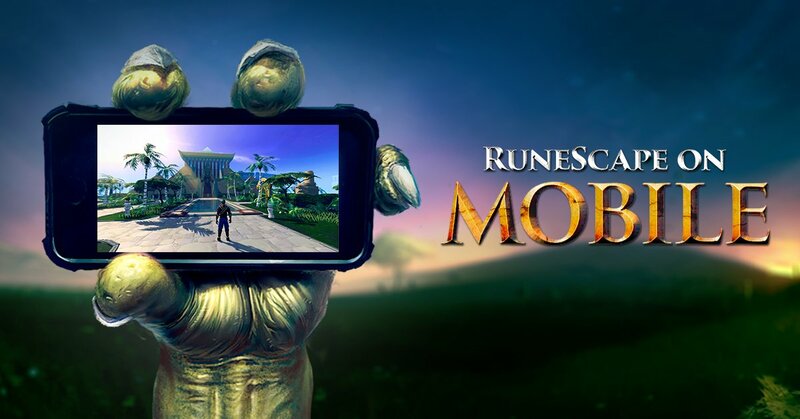 Many modern mobile MMORPGs are fine, but the realities of free-to-play design makes them different from what something like RuneScape was designed to be. You can use your existing account, or start a free one and get started with Tutorial Island, which shows you the basics, before letting you loose in the world. The experience is a bit different between tablets and phones, as there is a fixed interface that looks more like the desktop version of the game. The mobile-optimized interface only really runs into issues with the chat box being a bit large on a phone-sized screen, but you can freely rotate the camera to see everything around you. Beyond that, it runs quite well, making my LG V20 a bit warm, but otherwise providing some good old MMORPG action. It’s a classless experience, so you aren’t tied to a particular set of skills, but can adapt as time goes on. The nice thing is that there is such a thriving community already, and the game is driven heavily by player polling to add new features and changes only when a supermajority approves of them. The iOS version is still in the works, as is a client for the modern RuneScape, but a lot of people play this classic version. It’s not much for looks, but beyond that lies a super-deep MMORPG with years and years of content and experience behind it, to go with a playerbase. And, again, you’re not going to see many true MMORPGs like this on mobile, and this is the real deal. If you have an Android device, check out the Old School RuneScape beta now on Google Play.